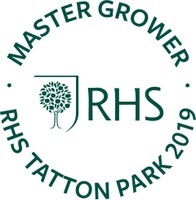 This year we are delighted to have been chosen by the RHS to be their Master Grower at the Tatton Park Flower Show 2019. The RHS Master Grower scheme, launched in 2016, shines the spotlight on the UK's finest specialist nurseries. It highlights nurseries that demonstrate excellent customer service, production on their own premises, sustainable practices and support of the RHS Flower Shows; with a good record of medals and awards. Come and see us at Tatton Park, between 17th and 21st July to see us tell the story of our nursery and how we grow dis-bud Chrysanthemums commercially. Click here to see a video promoting our involvement in Master Grower on the RHS YouTube channel. Welcome to our 2019 online mail order catalogue. We are now taking orders for dispatch this season; the earliest dispatch date will be shown during the online checkout. If you would like a later delivery please select a suitable date from the dropdown menu. We offer the widest range of Chrysanthemums available to the U.K. market, with over 420 varieties, for both growing in the garden and exhibition. For your convenience we have listed all our new varieties in one section, in the menu on the left, as well as in their usual sections. Our exhibition stock is all sourced from the top growers in the country; many varieties have been re-selected this year to give you the best flowers for exhibition. As always, all the young plants that we will be sending out are propagated from clean stock plants, here on our nursery in Cheshire. We supply well rooted plug plants, in a type of paper plug that does not restrict root growth, so you will get the best possible start to your growing season. We are pleased to announce that again this year there has been no increase in our postage and packaging charge, which remains at just £3.95 for any size order, posted to a U.K. address. This is considerably cheaper than other suppliers. Reluctantly, after several years, we have had to increase our plant prices for next year. However, unlike other suppliers, where you have to buy several plants of the same variety to receive a discount, we offer 10% discount on ANY 10, or more, plants. If you are new to Chrysanthemum growing please click here for a quick start guide to getting the best from your plants. This link takes you to top of the Mid-Season Intermediate section, scroll down to find Primrose Billy Bell. We are delighted to be offering two varieties of these rarely offered cascade Chrysanthemums, with more to follow next year. They will present a challenge to the grower but, will be well worth the effort for the spectacular show they produce in the autumn. Click here to order yours now, and for full cultural instructions. In 2019 we will be holding our Open Weekend on 27th and 28th April, between 9am and 4pm. This will give you a unique opportunity to visit our nursery. You will be able to view our extensive glasshouses, tour the propagation unit and other areas of the nursery to see how we produce our blooms on a commercial scale. 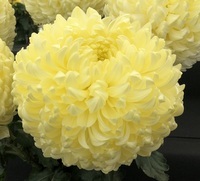 Chrysanthemum plants from our wide range, and sundries, will be available for you to purchase.